Please Note: Changes to fares and time schedules are at the discretion of the bus/coach operators. Terms & Conditions apply. Your trip to the Perhentian Islands starts in Kuala Besut. This is the town, where have to take the ferry to the Perhentian Islands. Important are the schedules of the buses, which bring you to Kuala Besut. They are below. I did also put some hotels/ guesthouses below, if you can't make it the day you'll arrive in Kuala Besut. Maybe it's better to stay one night in Kuala Besut. Most express buses go to Jerteh. This is a town just 20 minutes away from Kuala Besut. From Jerteh passengers can take a taxi to the Kuala Besut jetty. They will charge you RM20 per way. City Liner 10 times per day; It takes 1.30 min. 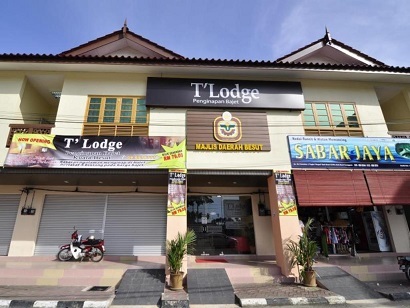 Well-positioned in Kuala Besut, T'Lodge is the ideal point of departure for your excursions in Besut. From here, guests can enjoy easy access to all that the lively city has to offer. With its convenient location, the hotel offers easy access to the city's must-see destinations. Take advantage of a wealth of unrivaled services and amenities at this Besut hotel. While lodging at this wonderful property, guests can enjoy Wi-Fi in public areas, car park, family room. Experience high quality room facilities, including internet access � wireless (complimentary), balcony/terrace, mini bar, air conditioning, fan, to help you recharge after a long day. Besides, the hotel's host of recreational offerings ensures you have plenty to do during your stay. When you are looking for comfortable and convenient accommodations in Besut, make T'Lodge your home away from home. Nestled in the heart of Kuala Besut, Bukit Keluang Beach Resort is an ideal spot from which to discover Besut. From here, guests can enjoy easy access to all that the lively city has to offer. With its convenient location, the hotel offers easy access to the city's must-see destinations. 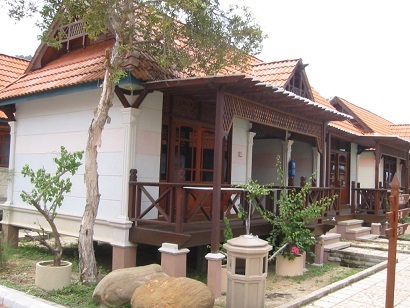 The facilities and services provided by Bukit Keluang Beach Resort ensure a pleasant stay for guests. A selection of top-class facilities such as restaurant, airport transfer, meeting facilities, bicycle rental, room service can be enjoyed at the hotel. Experience high quality room facilities, including television LCD/plasma screen, non smoking rooms, ironing facilities, satellite/cable TV, shower, to help you recharge after a long day. The complete list of recreational facilities is available at the hotel, including garden, outdoor pool, fitness center, pool (kids). Discover an engaging blend of professional service and a wide array of features at Bukit Keluang Beach Resort.